Now you can email Proposal / Invoice etc via Proline. 1. 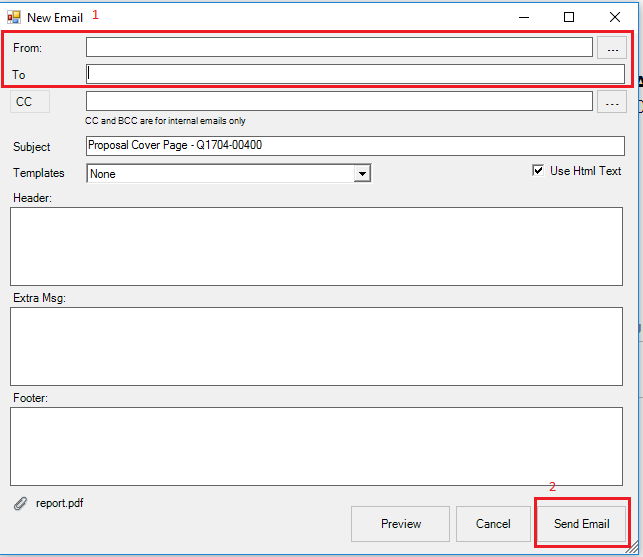 Select Proposal then clicks Operation button. 3. Select proposal cover page. 4. 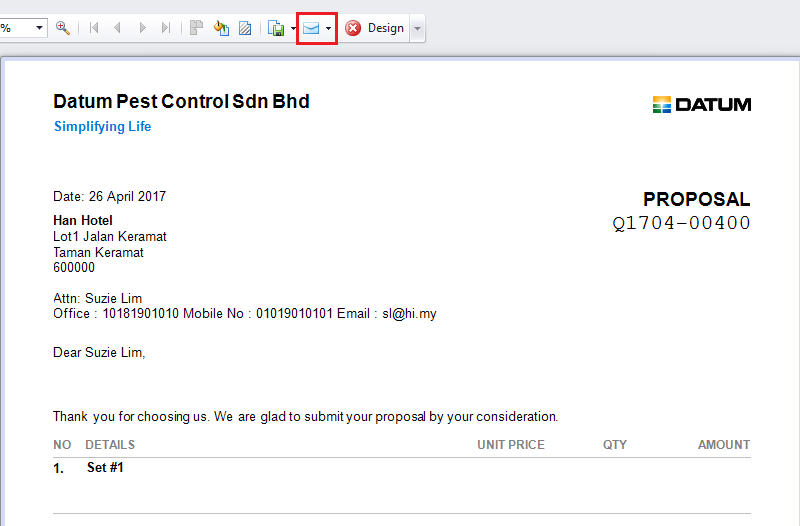 Select email icon button. 5.Please make sure to check sender email and receiver email is key in correctly. 6.After that click Send Email button.